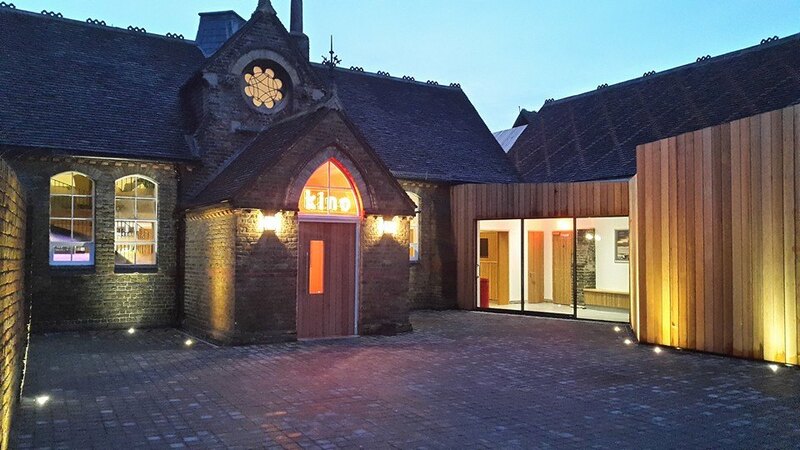 Kino Rye is a brand new, state-of-the-art 2-screen cinema, café-bar and function venue at the top of Lion Street in the medieval heart of Rye. Kino is open every day from 9.00am with film screenings from around 10.00am. The creation of Kino Rye involved a complete renovation of the Victorian buildings, the addition of modern cedar-clad extensions and a landscaped outside terrace which has a unique view of the church tower and roofscape for which Rye is famous. The beauty of the outside of the building continues inside with a unique interior designed by Kino and the project architect using local joiners, lighting designers and other craftsmen. The result is stunning, and unlike any other cinema venue you will have ever encountered. Beautiful oak panelling, a spacious mezzanine lounge, an open fire and atmospheric lighting create intimate, welcoming and very stylish spaces where you will want to spend time, whether you have come to watch a film or not. A fully-stocked bar, delicious espresso coffees, homemade cakes, and tasty seasonal menus mean that you’ll be spoilt for choice when it comes to food and drink. As for the cinema experience? 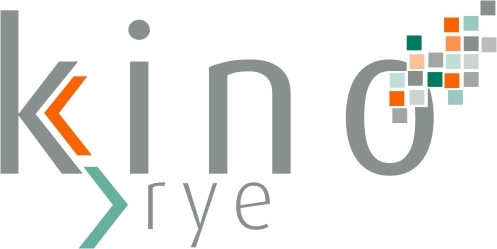 Well, Kino Rye is very impressive. Screen 1, the Red Room, has 98 incredibly comfortable seats, beautiful interior design features and a sound and picture quality that is up there with the best. Kino made sure that it worked with world-renowned acoustic specialist Munro Acoustics to achieve the best sound experience, whilst one of the UK’s leading cinema equipment suppliers, Sound Associates, provided the technical expertise and leading edge digital cinema technology to ensure the sharpest 2D and 3D image. Screen 2, the Blue Room, has 46 seats, and incorporates the same comfort, interior design and high-spec equipment as its larger neighbour. Key to the re-development of the site has been the renovation and refurbishment of the Silver Room, the former ‘Art Room’, which provides a beautiful reception space equipped with a projector, screen, and 5.1 surround sound system. With its own bar and various catering options, the Silver Room is ideal for private functions, parties and special events. Private hire rates start at £75 per hour. For its film programmes, as at nearby Kino Hawkhurst, Kino Rye provides a wide range of blockbuster, foreign language, children’s and special interest films, as well as live satellite broadcasts from world-class venues such as the National Theatre, (NT Live) The Royal Opera House, The Royal Shakespeare Company in Stratford-Upon-Avon and National Museums and Galleries. All of this can be enjoyed with a glass of wine in your hand as Kino’s screens are fully-licenced. Kino’s team of friendly, knowledgeable, helpful staff provides the essential final ingredient, so be sure to check out the stunning new Kino Rye… and prepare to be wowed!